We're going to work for you! Owens Business Machines has provided quality machines and services to the Hattiesburg area for nearly 30 years. Our sales staff can help you choose the right equipment for any situation. We have certified copier, pc/network, and printer service technicians working hard to keep your business going! Canon offers a full array of black & white and color digital copiers with optional integrated network printing, scanning, faxing, and emailing. We have Canon-certified technicians on staff and a wide variety of service plans available to fit your business needs. Whether your company is large or small, Owens Business Machines has a solution for you! Lenovo (formerly IBM) desktops and laptops are the industry leader for business professionals, and genuine IBM server solutions are second to none. We can design, configure, and deploy a network customized for your business applications. From a single pc to multi-location networks, Owens can keep your business working! Owens has a printing solution for you! 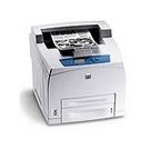 Xerox black & white and color laser printers are well-known high quality printing solutions. Xerox solid-ink technology provides amazing results for your most important color printing needs. Come look at our Canon stand-alone facsimile machines and color desktop scanners for all your office needs! We also deliver replacement supplies daily in the Hattiesburg area!